Jack Milner provides organisations and individuals with all the tools required to influence, persuade and engage – in short, he shows attendees ‘how to speak like a stand up’. And his coaching works. According to London Speakers Bureau (the biggest speaking agency outside the US) the 3 top selling speakers in 2018 were all coached by Jack Milner. 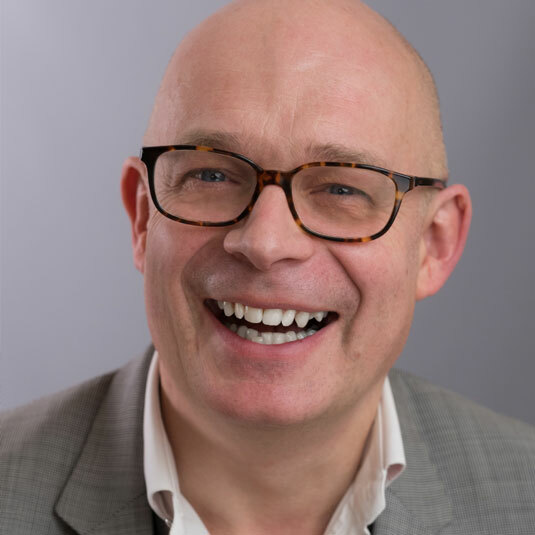 A director for the West End, film and radio, Milner’s funny, insightful and refreshingly interactive class, helps organisations and individuals avoid Death By PowerPoint. Jack explains how to take dry, technical information and render it clear, memorable and engaging, no matter who the audience is. Clients include: Google, Cisco, Ofsted, Commerzbank, AIG, Pru Health, McCann, Adam&Eve DDB, NHS, Innocent, M&S and Microsoft; while more recently he has become an adjunct for Ashridge Business School. He is also one of the most versatile and prolific creators on the London comedy scene. In another life Jack ran comedy workshops for The National Theatre, Channel 4 and ITV amongst many others. He reckons to have run over 1,200 comedy and stand up workshops and seen an assortment of over 15,000 comedians, wannabe comedians and even don’t wannabe comedians. While Jack was running these workshops, business people would occasionally ask if he could do a version of his stand up workshop for their company. They saw the business value of the stand up approach to presenting. At this point Jack realised he had a business. What he did for businesses was making a huge difference. What’s more, a lot of the feedback suggested worked better than normal presentations skills training. The stand up approach was actually much closer to business presentations than the typical theatre background of most presentation trainers. Presentations, unlike theatre acting, are about talking to an audience, turning them into a group of friends, and telling them your story.